The most radical and divisive composer of the twentieth century, Arnold Schoenberg remains a hero to many, and a villain to many others. Born in the Jewish quarter of his beloved Vienna, Schoenberg’s early career took him to Berlin, as a leading light of Weimar culture, before he fled in the dead of night from Hitler’s Third Reich. He found himself in the United States, settling in Los Angeles, where he would inspire composers from George Gershwin to John Cage. Schoenberg’s revolutionary approach to musical composition incorporated Wagnerian late Romanticism and the brave new worlds of atonality and serialism, and it changed the history of music forever. 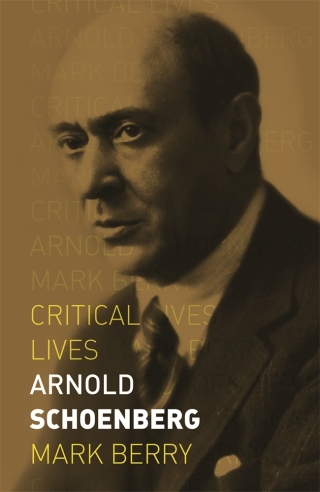 In this refreshingly balanced biography, Mark Berry tells the story of Schoenberg’s life and work within the wider context of nineteenth- and twentieth-century history. He also introduces all of Schoenberg’s major musical works, from his very first compositions such as String Quartet in D Major to his invention of the 12-tone method. This book is essential reading for all those with an interest in the music and history of the twentieth century. Mark Berry is Reader in Music History at Royal Holloway, University of London. He is the author of Treacherous Bonds and Laughing Fire: Politics and Religion in Wagner’s ‘Ring’ (2016) and After Wagner: Histories of Modernist Music Drama from ‘Parsifal’ to Nono (2014). He also regularly reviews concert and opera performances for his popular blog, Boulezian.